Flowers are plants known for their aesthetic values. They are useful for very important occasions such as meetings, weddings and condolence visits. When used as gifts, they usually send more heart warming messages to the recipients than other valuables such as money and jewelry. There are many kinds of flowers for different occasions. Flowers also differ in the way they grow. Some of them complete their life cycle in one year, some in two years and others grow several years. This difference in the way flowers grow has led to their classification as annual, perennial and biennial. Annual flowers are plants that grow completely in one year. That is, they germinate, produce seeds, flower and die in one year. Annuals can be obtained as seeds or bedding plants, annuals are meant to last only for one year so it is important to know how best to plant them before buying their seeds or seedlings. They are planted during the summer and fall season and their life cycle normally ends at the beginning of the winter. To plant annuals, it is important to ensure that the soil has good texture and allows aeration. Soil that clump up easily are not good for cultivating annual flowers. The depth of the hole for the flower should be between six and eight inches while spacing between the flowers should be between four and five inches. Annuals need plenty of water to grow well. Some examples of annuals include petunias, sweet peas and zinnias. Zinnias are very easy to cultivate. They’re planted by most garden owners because they have different colors such as rose, orange, crimson, purple, salmon, yellow and scarlet. 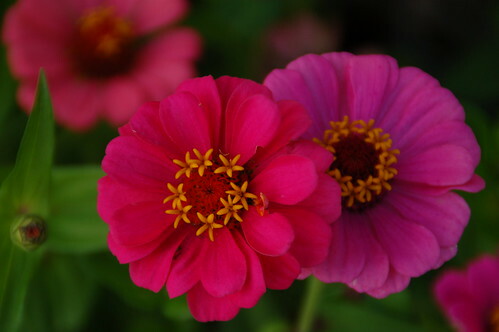 Hence, zinnias, just like most other annuals are planted to make gardens and the home very attractive. Since they survive within one year, annual flowers are used to refresh the appearance of the home yearly. Apart from garden decoration, annuals such as morning glory, climbing snapdragon, hyacinth bean and passion flower are useful in decorating walls, fences and providing shades. These flowers are known as climbing annuals and they are planted instead of perennials sometimes. Perennial flowers are plants that take time to grow, unlike annuals, they require more than one year to flower and attain heights that can make then useful as shades or fence decorators. The advantage of perennial flowers over annuals in the case of wall decoration is that the annual plant (no matter how useful it may be) only lasts for a year. This means that a gardener who plants annuals for this function will always anticipate the next planting season to grow a new set of annual plants. Hence, owing to the stress and time involved, most gardeners prefer setting up a perennial garden. Perennials bloom in the spring season of the following year while the top portion dies in the winter. This means that perennials planted in the spring of 2011 will start blooming in the spring of 2012 while it will degenerate a little in the winter of 2013 before blooming again in the spring of the same year. Most gardeners agree that perennial gardens are the easiest to make. There are varieties to choose from depending on the height, color, flowering season and length of bloom you want. 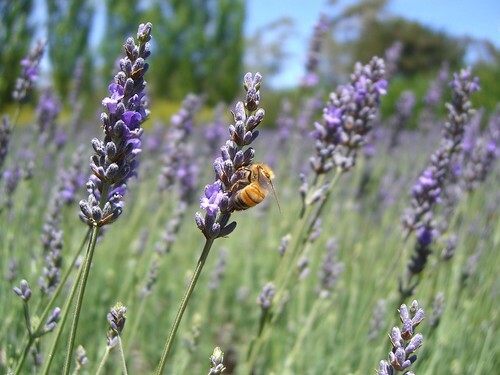 Examples of perennial flowers include datura plants, lavender, datura and lobelia. Datura plants survive in hot weather conditions and they can even grow as tress. Lavender, datura and lobelia have different colors so just like the annuals and biennials; they are also very useful for decoration. Biennial flowers are plants that take two years to complete their life cycle. They usually grow from the seeds and die within two seasons, leaving only their seeds to be replanted. In the first season, the biennial flowers grow from their seeds to become small plants. Then in the second season, the small plants grow bigger and produce flowers and seeds. Most of them die at the end of the second season while some survive beyond the second season to continue producing flowers. This characteristic makes biennials to be often called perennials though they do not actually live as long as the perennials. Biennials are useful as herbs and decorative plants some of the biennial herbs include: Angelica, Caraways, Evening primrose and Foxglove. Angelica grows up to about 6-8 feet tall and its entire parts can be eaten. The height of Angelica and some other biennials also make then useful in fence decoration.